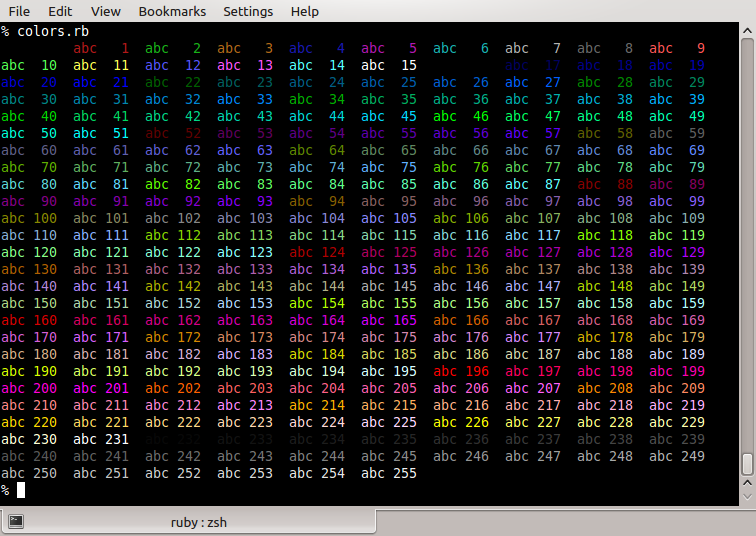 All other examples that I saw online used the same color names, that is, the ANSI colors for terminals: black, red, green, yellow, blue, magenta, cyan, white. 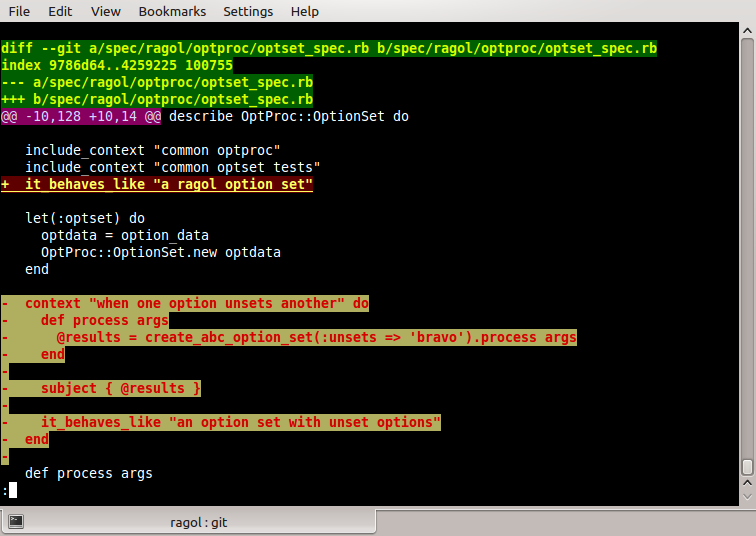 What I wondered, after rewriting Glark so that extended colors could be used for highlighting matches, since terminals now support those colors, is whether Git supported extended colors. 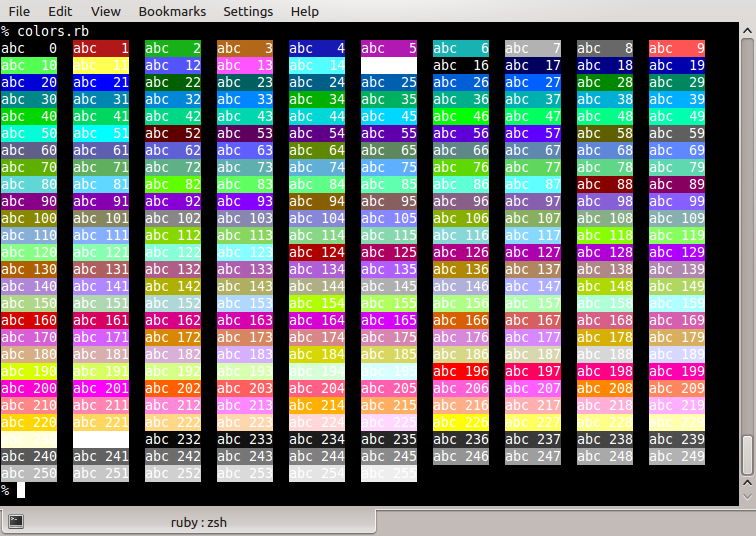 Digging around through the Git source code shows that a color, in addition to being one of the above color names, can also be a number between 0 and 255, per the ANSI escape codes. The nit is that that’s not an RGB value; it’s a ANSI code that corresponds to a color, and for people accustomed to RGB, the ANSI code is dissimilar enough to be confusing. 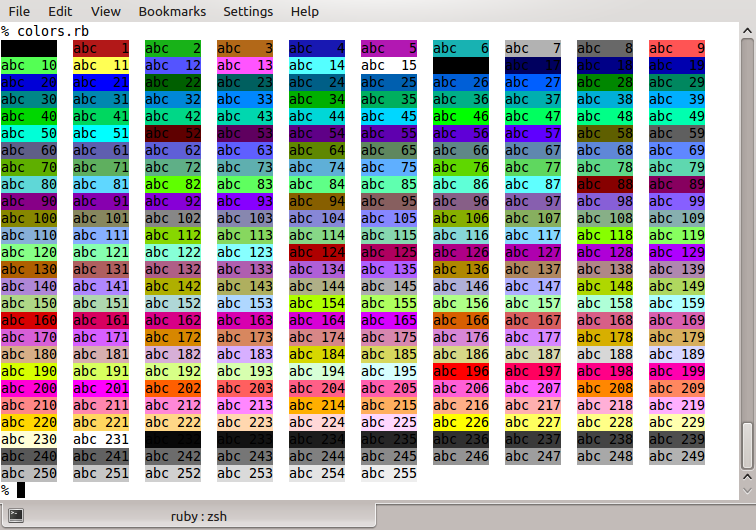 Each of the values for red, green and blue is scaled to between 0 and 5, then offset for the ANSI version of RGB. Also note that the Git color fields are of the format “[attributes] foreground [background]”, where if a second color is given, then it is used as the background. The same is true for ANSI codes, so that the second ANSI code specified will be used as the background. Attributes are the following: bold, blink, ul (for underline), reverse, and dim. More than one can be used. Again, I don’t recommend it. 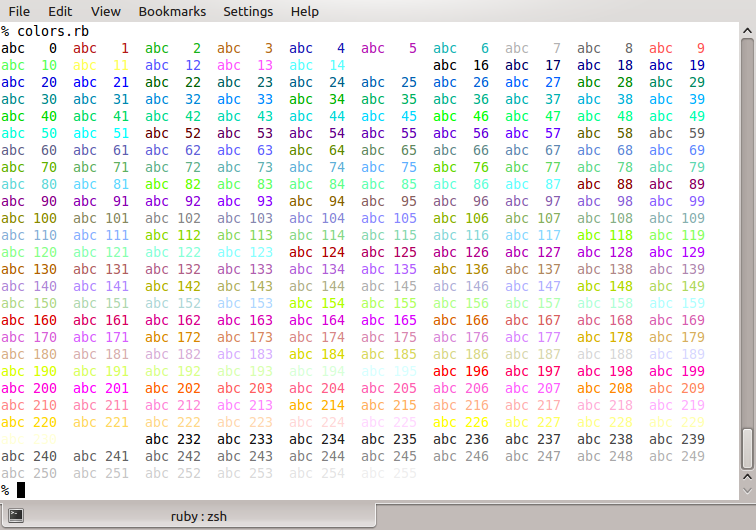 I’ll post an update when I’ve settled on a color theme.